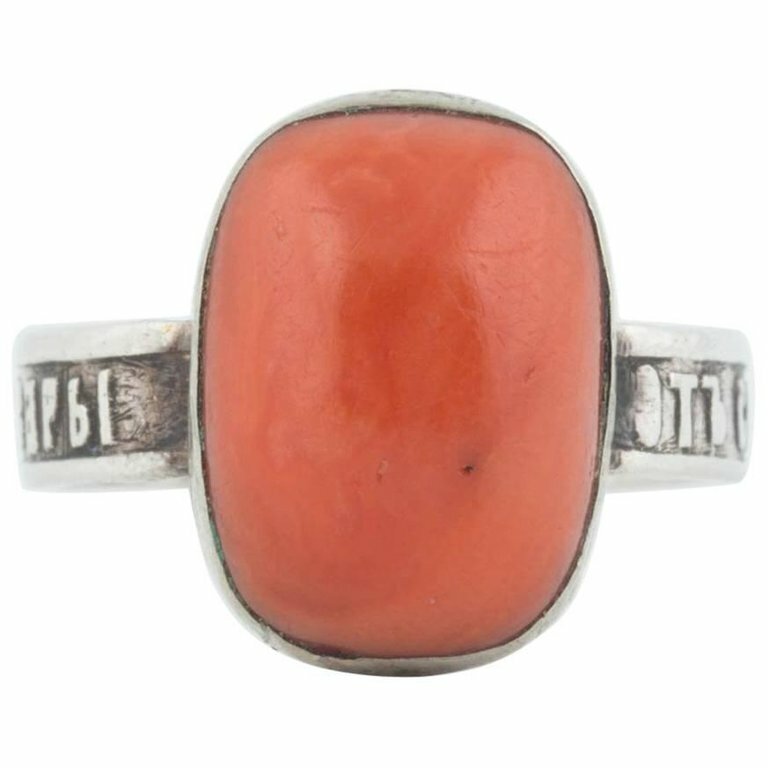 From the Romanov era, period of tsar Nicholas II, this rare silver ring is bezel set with an orange coral from the Black Sea. The coral measures approximately 12 x 8 x 5 mm (l x w x h) of a fine quality and uniform colour. The shank is inscribed with a dedication to Saint Barbara in Old Church Slavonic.